DSPL8 were delighted to host Robyn Steward last December, an international speaker who talks about her experiences of being a young woman with autism. Robyn says she had to learn that her problems were not just that neuro-typical people did not understand her, but that she didn’t understand neuro-typical people. She explained, “I need to know I’m autistic. I can’t make the world think like an autistic person. I have to learn about the world. But I also need my needs to be met, so there must be a meeting halfway.” She therefore set out to teach herself about Theory of Mind. She has to engage in a cognitive process to navigate the world, which involves consulting with a circle of neuro-typical friends, analysing their responses and coming to her own decisions. Robyn talked about her writing and her research into the experiences of women with autism. 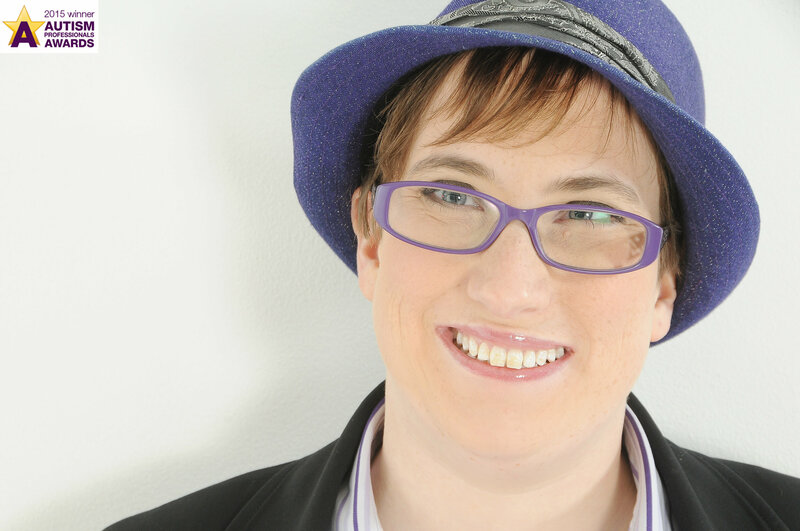 Many autistic people of both genders have experienced abuse, and Robyn’s book The Independent Woman’s Handbook For Super Safe Living On the Autistic Spectrum gives strategies to keep yourself safe. Robyn also answered questions from attendees, for example what age to tell your child that they are autistic. Robyn said to use the word ‘different’ not special, and that if they know their brain is different they can ask for help. Comic book strips can be used to help explain situations, and it’s a huge advantage to start this work early on. Examples of successful people with autism can be used, and the child should understand that autism is not an excuse to not work hard. Robyn recommended books such as Different Like Me – My Book of Autism Heroes by Jennifer Elder, Auti Power! Successful living and working with an autism spectrum disorder by Herman Jansen and Betty Rombout, and Comic Book Conversations by Carol Gray. Finally, Robyn introduced us to Henry, her “Support Bat”. Henry stays the same, has no opinion, makes little noise, has twiddly legs and velvety ears and helps in stressful situations. He is made by a company called Oliz who make sensory stuffed toys.